MSX-C is very strict about the types of the parameters passed to functions. Using the wrong type (for example, passing a char to a function that expects an int) will result in the function not receiving the right data. The reason for this is that depending on the type of the data the parameters will be passed in one CPU register or another. The full details are in chapter #23, though that was a very technical post. You don’t need to worry about this mechanism for now. 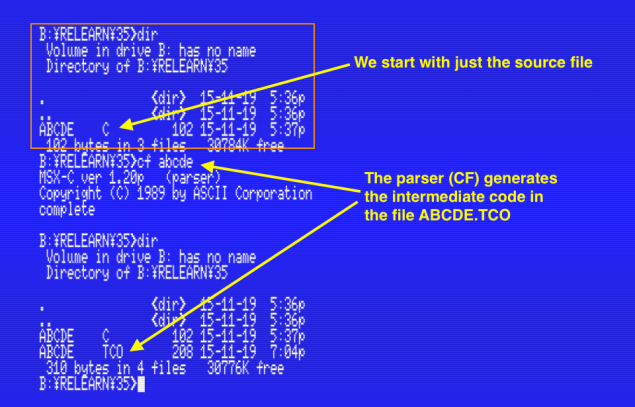 In any case, the MSX-C compiler doesn’t perform any kind of type checking during compilation. The reason is that in this version of the C language function declarations don’t include information about the function arguments. Because of this, sometimes we’ll successfully compile a program and everything will look fine until we actually run it and notice that it doesn’t work as we expected. 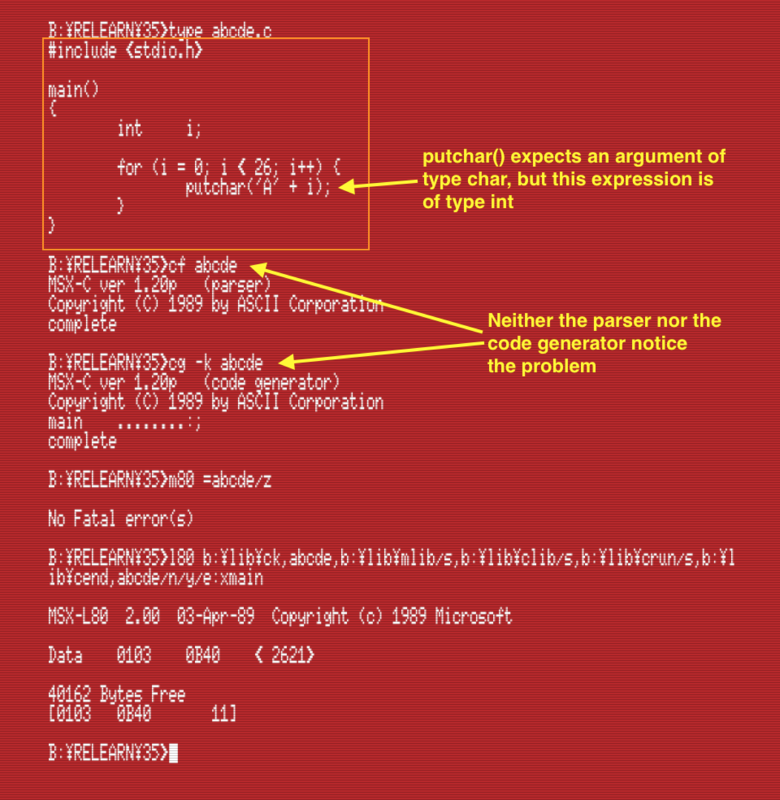 This is often true with programs ported to MSX-C from other platforms, because other C compilers treat the types int and char in almost the same way. This is where FPC.COM comes in. This support tool compares the function calls in our programs with the actual function definition and is able to warn us when the function arguments aren’t correct. However, if you try and run the program you’ll notice that it doesn’t work as expected. It exits without printing anything on the screen, or just printing garbage (depending on the contents of the memory at that moment). First, the file name where the problem happens. 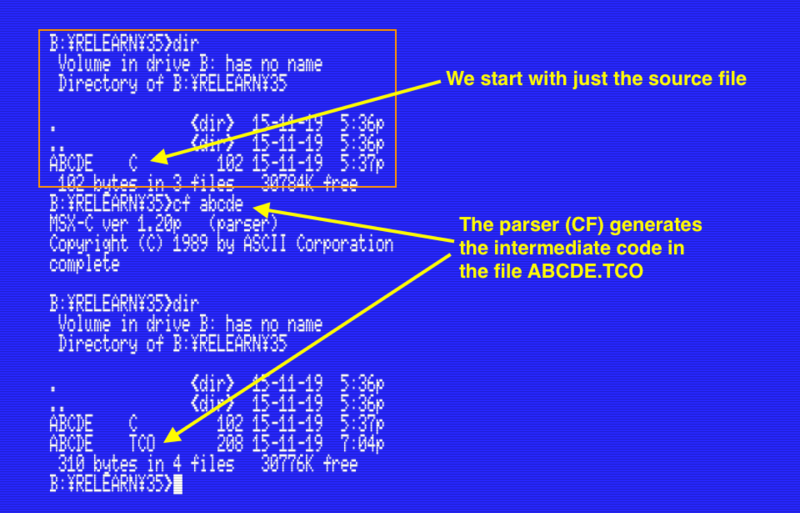 Until now we’ve only seen programs that are contained in a single file, but later when we see how to compile per parts this will be very useful. Second, the function name where the problem was found. And fourth, the description of the problem. 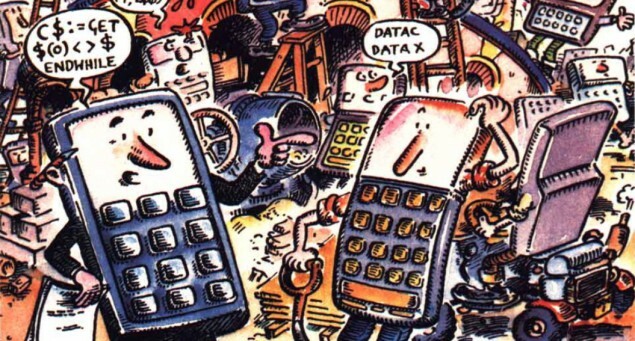 This happens whenever we’re calling a function with the wrong number or arguments. For example, calling putchar() with two parameters. Note that some functions such as printf() take a variable number of arguments. FPC doesn’t check those. This is the case we saw earlier in this post. It happens when the types of the arguments in a function call don’t match the types the function expects. As before, remember that FPC will not check functions that take variable arguments. This happens when FPC can’t find a function name in the libraries. This can be because the function name isn’t spelt correctly in the code, or because we forgot to add the library file to the FPC command line. If you’re compiling manually, or you wrote your own script, then make sure to run FPC after CF. FPC needs the TCO file that CF creates. This time we’ve zoomed into FPC. We’ve learnt how to use it to detect type and argument errors in function calls. The next three or four posts will be about screen output. We’ll start with a much more detailed view of the printf() function. After that we’ll learn about control codes and escape sequences that handle the display of text on the screen.